“I was raised with a large, wonderful family in Santa Fe and the surrounding mountains and prairie worlds. All of the things and people that passed through our lives imprinted my psyche and very much informed my later paintings. Since my graduate show in 1970, I've done a variety of activities, all of which I hoped would inform my painting. I've made etchings at Bob Blackburn's printmaking workshop in New York. I've traveled to Crete, Europe, Mexico and India. I have spent years designing and building custom houses in the Santa Fe area. For many years I did artist-in-resident programs in schools, youth diagnostic centers, prisons, senior centers. From 1990 to 1993 I was a visiting teacher in painting and printmaking at University of New Mexico and at University of California at Santa Cruz. I've shown work in group shows and solo shows in many cities. 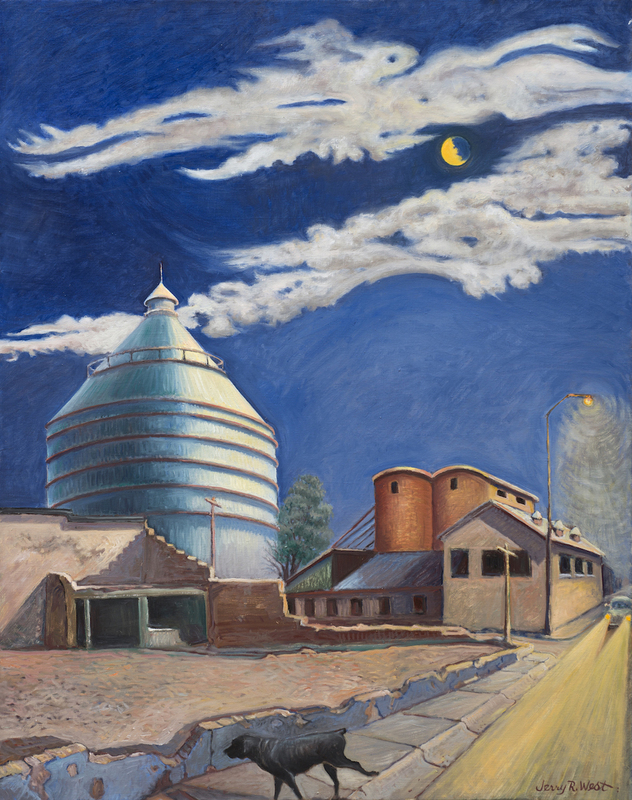 I've been in a few galleries—such as Heydt-Baer, Arlene LewAllen and Linda Durham in Santa Fe; Sebastian-Moore in Denver: Bernice Steinbaum in New York. But mostly I've shown out of my own studios in Denver, Boulder, San Francisco, Las Vegas (NM), Santa Fe and Serafina. “Most often I call myself a storyteller/poet/artist. My thrust as an artist is to attempt to inhabit the world around me. My art activity becomes a meditation on objects, plants, animals and people, histories and the disappeared as well as the ghosts and the myths. I draw on a myriad of cultural and family stories, personal experiences and dreams. My paintings tend to become psychological, allegorical landscapes. This year, 2012, my focus was on Roswell."